When people say they want to use CakePHP with React typically the recommendation is to convert CakePHP into an API server and then add ReactJS as the front-end served on a different URL then CakePHP. But what about when you have a CakePHP application and you want to use CakePHP authentication and routing and even a lot of the CRUD views that you have baked? 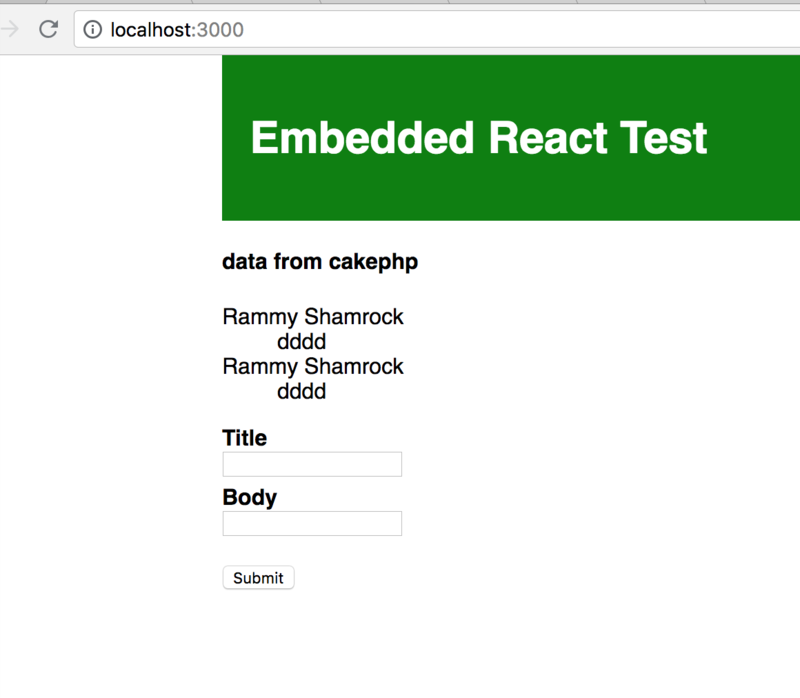 The create-react-app build command is modified to copy the production build static react files to the cakephp webroot/react folder. The CakePHP Controller action and view file is then modified to read the create-react-app provided asset-manifest.json file which contains relative paths to the JS and CSS files needed for the react app.